End of Year Blow Out Sale! I trust that all of your Quilty Christmas Gifts have been given and received with Joy! I know for a fact that *SOME* of you got exactly what you wanted! GO SANTA! This last week, I've done some major housekeeping at the shop. January is nearly here and with it, scads of new fabrics are coming your way. We had to make room! The clearance shelves are FULL of deals $8.50 or less...shop early for the best selection! Come in to browse the shelves yourself, or CLICK HERE to shop online. Also the calendar for January and February is chock full of fun winter classes and events. Have you been to our new website yet? It's SOOO easy to navigate! Just click "Calendar" on the yellow ribbon, then click forward to the month you want. Click the class and register right from there!! CLICK HERE to go to the Calendar and Schedule for any class listed below! So, here's a quick run down of what's going on in January and February! Country Crossroads/Amish with a Twist III and Gingerbread Village meet Thursday, January 14th at 6pm OR Saturday, January 16th at 9am in the classroom. 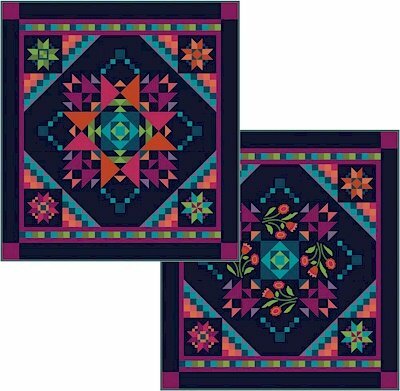 You can make your choice between PIECED or APPLIQUE at the January meeting, AND get 20% off your backing if ordered by January 16th! Attend classes to get a discount on an appropriate sized batting in your choice of fiber. 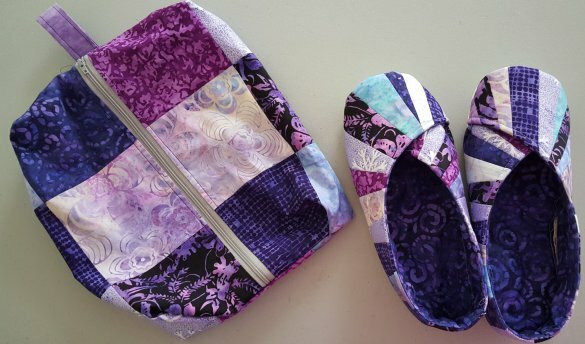 Are you tired of having stacks of unfinished quilt tops? are UP for January! Just click on the top class link above and sign up for your desired date! After you take the class, you can RENT our Nolting 24 Pro machine for just $20/hour, and we provide the thread. 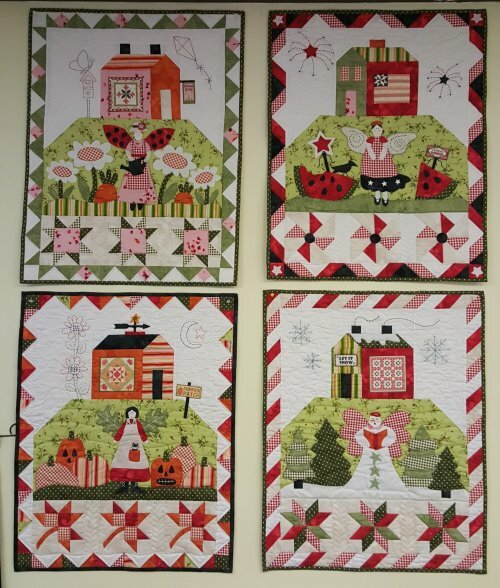 Karla H. did FOUR good sized lap quilts in ONE day prior to Christmas! (no, I'm NOT kidding, and YES they all looked beautiful). And better than that, YOU can do it, too! 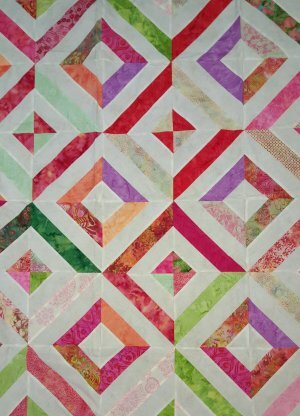 The picture below is the back of Karmen M's FIRST quilt. YOU CAN DO THIS! And what could be better than a quilt made 100% by YOU? And besides which...it's just DARN FUN. We only take two people per class, so you get LOTS of practice. Sign up today! We're repeating one of our most popular classes. This is a "NICE" class (Non-Procrastinators Inspired Christmas for Everyone). 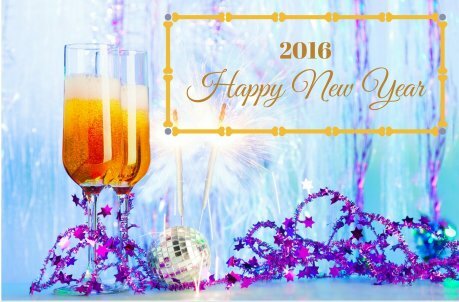 Want to be done early for 2016? 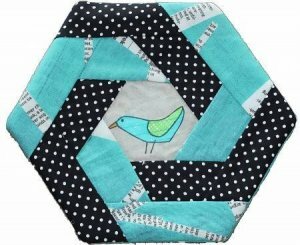 Here's an easy but DYNAMIC quilt to get you on your way! Stay for awhile or stay for the day. Breakfast and pattern will be provided! Three meals per day provided, PLUS the opportunity to do a Deb Caffrey Mystery Quilt! Sleep in your own comfy bed! These go FAST. Register early! Tatting is beautiful hand made lace from fine tatting thread. 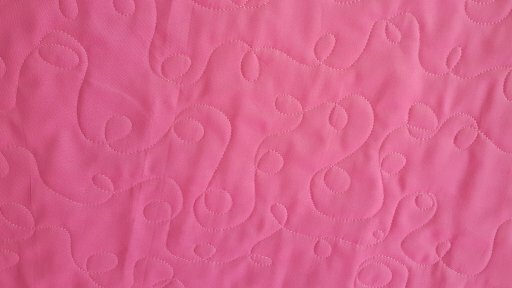 Just a few basic stitches, and you can learn to produce delicate motifs for bags, hats, even quilts! Let Dave walk you through (literally) the ins and outs of shuttle tatting. This "old art" is relaxing and fun! Saturday, February 20th will be TUFFETS!!! Did you get a Cotton Candy Gift Card for Christmas? Want to use it online? After you put items in your cart...which can be classes, BOM's, or products....click on the "cart" icon or click "go to checkout". Directly underneath your cart is "Enter Gift Card". Click on it, then type in the code from the bottom of your Gift Card (that's printed on the bottom of your receipt). That's it! You can use "Reward" gift cards or those wonderful extra added value Christmas gift cards. Your total less your gift card will be recalculated, then just finish your checkout process. That's it!